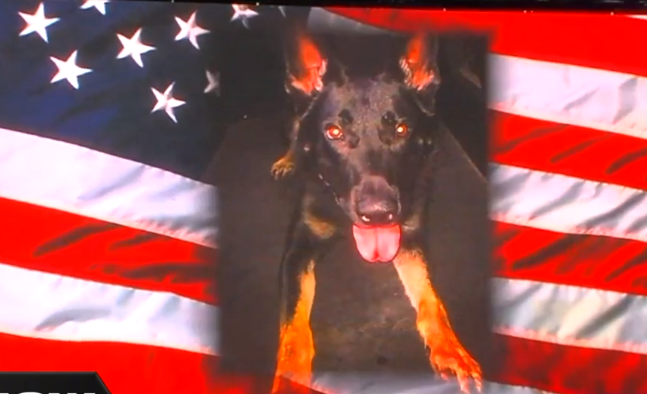 The community said a final farewell on Thursday to a Palm Beach County Sheriff's Office K-9 who was shot and killed in the line of duty on Christmas Eve. 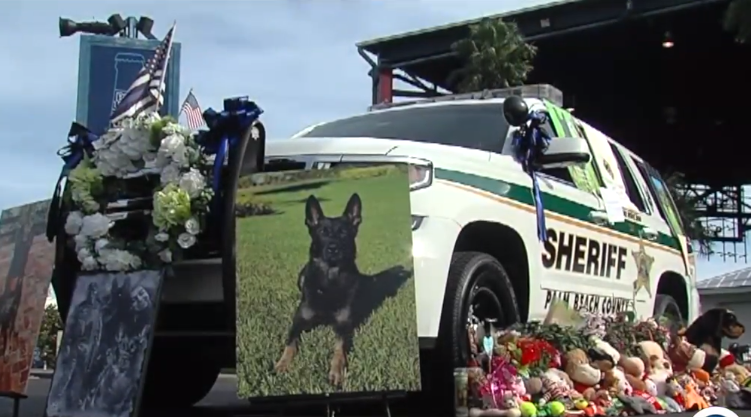 PALM BEACH COUNTY, Fla. — The community said a final farewell on Thursday to a Palm Beach County Sheriff's Office K-9 who was shot and killed in the line of duty on Christmas Eve. 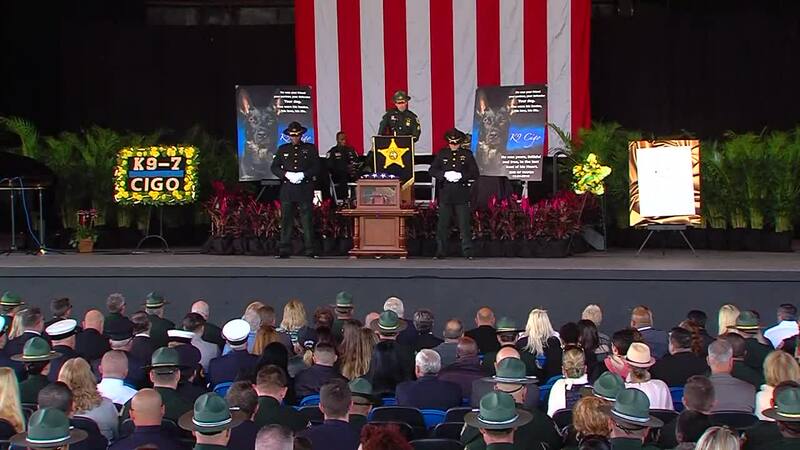 Hundreds of deputies and spectators attended a public memorial service for 3-year-old Cigo at the Coral Sky Amphitheatre in suburban West Palm Beach. "We might have had two deputies killed in that encounter," said Sheriff Ric Bradshaw at Thursday's memorial. "So that's why we're here today. To thank him, and to give him the sendoff he so richly deseves." Investigators said 28-year-old Giovany Alvarez shot Cigo on Dec. 24 outside the Mall at Wellington Green while the K-9 was trying to apprehend him. 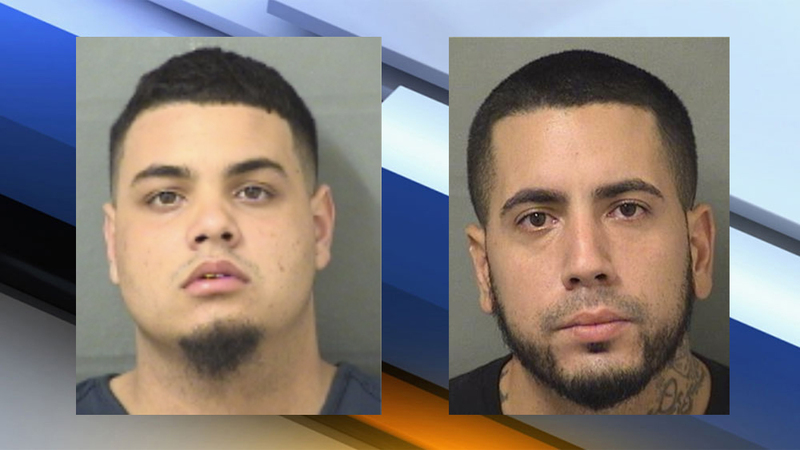 Alvarez and another man, 19-year-old Justin Vazquez, were wanted for attempted first-degree murder and robbery from a separate case. Cigo was taken to an animal hospital and later died. 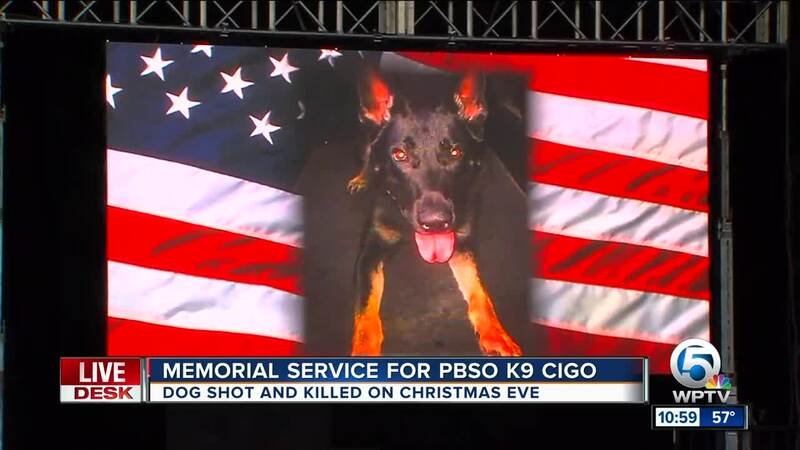 Cigo's deputy was his handler for about a year. 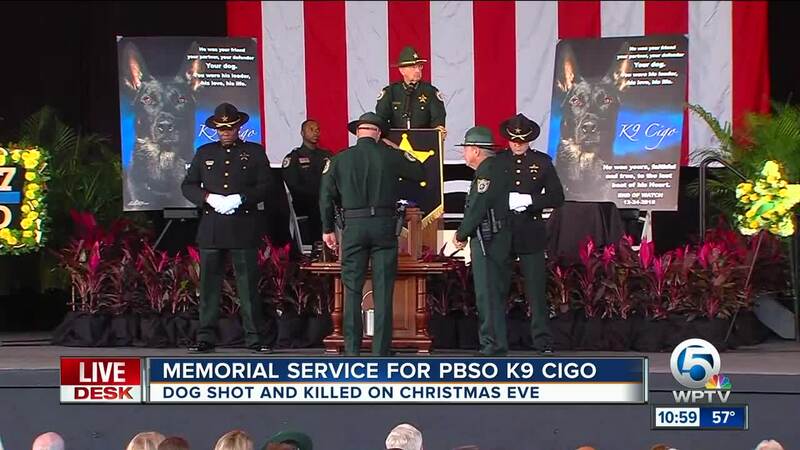 Several law enforcement officers spoke at Thursday's memorial service, along with Cooper Kline, a little boy who wrote an emotional letter to Cigo's handler following the death of the K-9. "Thank you for keeping me safe, thank you for your service," Kline said as he read from the letter. "Your dog did a lot for the world. Don't worry, you will get a new buddy. Keep up the good work." There was also a flyover by the Palm Beach County Sheriff's Office Aviation Unit. 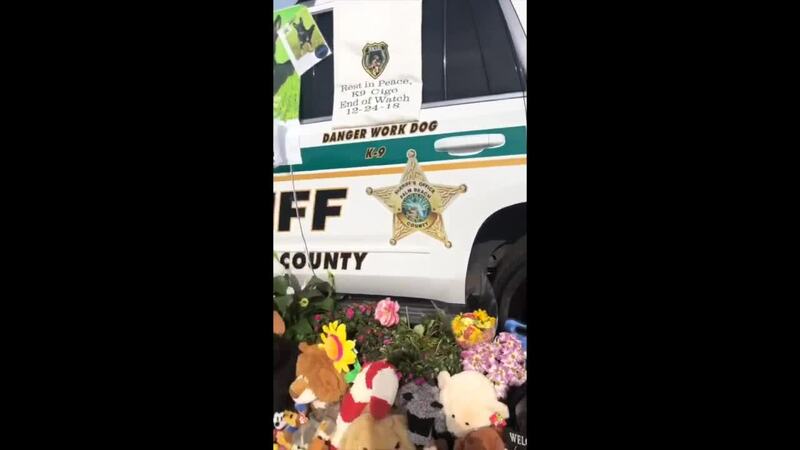 In lieu of flowers, PBSO said donations can be made to the Palm Beach County Sheriff’s Foundation in memory of Cigo.